There is no automated computer order form, because we will never put your Credit Card information into our computer. Sorry but we do not ship C.O.D. Please check to see if we have stock prior to making payment. Please allow enough time for mailed orders to be received by us. 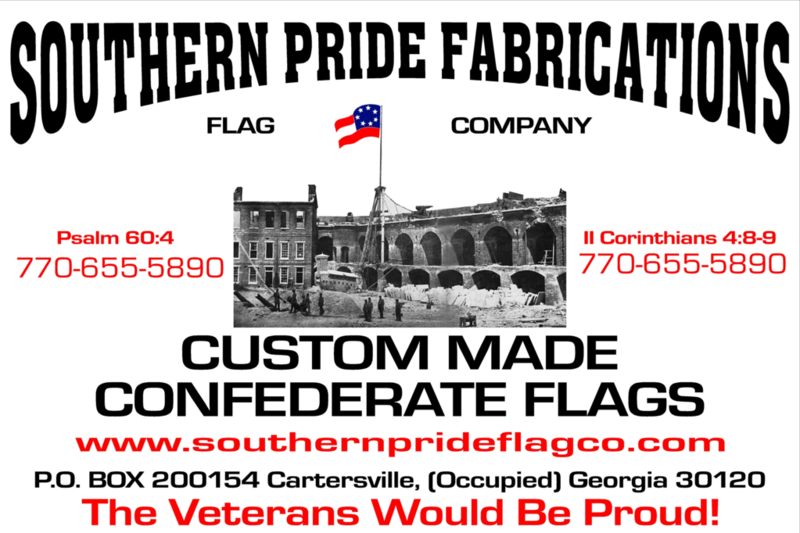 Southern Pride uses U.S.P.S unless other arrangements have been made. 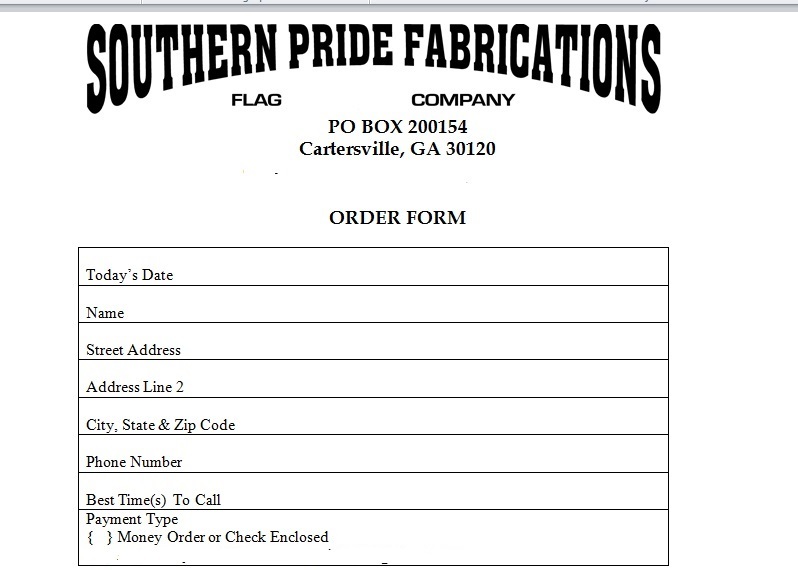 Southern Pride only charges what it costs for necessary shipping rates. We do not use "flat rate" at this time. We only charge what it actually costs for items to ship to customers, plus a minimal handling fee. 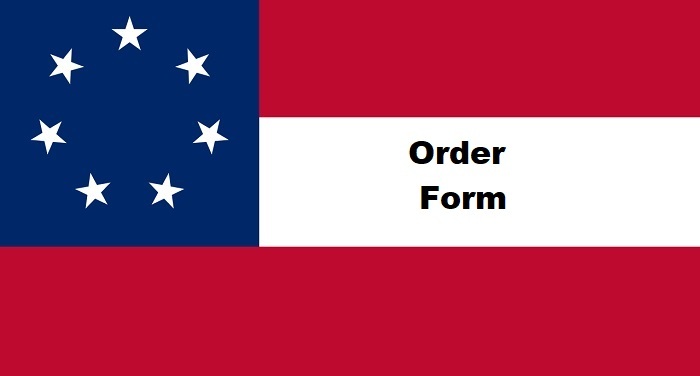 Nearly all of our "IN-STOCK FLAGS" our on our shelves and will ship the same or next business day but we sometimes have delays. Allow 4 to 6 weeks manufacturing time. May delay an order 2 - 3 weeks. This means that we won't have that item available in any reasonable time. In that case we cancel the item from your order and issue a refund. Back Ordered Items will be automatically shipped U.P.S. Ground as soon as the item becomes available. All returns must be authorized by us prior to returning the item. All merchandise returned for a refund is subject to a 15% restocking fee at our discretion. It is our policy to allow three day inspection time (plus we allow time for ground shipping both ways) before return restocking fee affects your order. RETURN SHIPPING: Is done at customer's expense. DEFECTIVE ITEMS: Will be repaired or replaced on a no charge basis.